As a first in the destination club industry, Solstice is acquiring a luxury villa within the eco-resort development of Warapuru, in Brazil. Designed by internationally-acclaimed and London-based Anouska Hempel Design, the Warapuru resort and Solstice villa are scheduled for completion in early 2008. The earth-friendly luxury resort will make thorough use of the indigenous materials including Brazilian teakwood and limestone. The sleek, contemporary design of the Solstice home is integrated with and subtly contrasted by the lush surrounding rainforest. 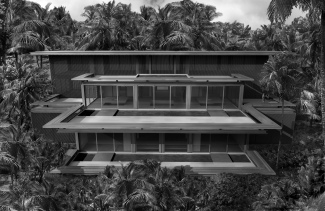 As a signature feature of the Anouska Hempel Design, the minimalist villa is delicately placed in the forest landscape to ensure privacy while panoramic views open to the beach and beyond. More than 2,000 tons of Brazilian limestone encases the interior and exterior of the home and a perfectly-balanced 18-foot tall Brazilian teakwood door pivots with the touch of finger, offering passage to this thoroughly unique home. "The juxtaposition of the tropical setting with indigenous Brazilian wildlife and flora, panoramic ocean views, and pure white sand on a secluded beach will provide a truly once-in-a-lifetime experience for members," noted Solstice Collection Founder Graham Kos. Atop each of the villa's expansive three floors, Solstice members will enjoy a private plunge pool and sun deck. The villa's dual master-suite configuration and additional three bedrooms provide spacious accommodations for guests. Members will also enjoy the beck and call of a private butler and a motorized golf cart to tour the lush resort grounds. Solstice members will have full access to the ultra-exclusive Warapuru Resort, which includes a world-class spa, beach club with restaurant, fitness and tennis center. The fishing village of Itacarè, located ten minutes from Warapuru, offers a variety of restaurants as well as family-friendly activities and an array of eco-adventures. The village is known as a great surfing hang out and the surrounding Atlantic rainforest is a Unesco World Heritage site. Celebrities including Gisele, Sean Penn, Jade Jagger Leonardo di Caprio, Steven Spielberg and Antonio Banderas have all stayed in the area. Solstice has some very unique and architecturally interesting homes, with an average value of about $6.5m.